Sheila and I have been friends for a while. We met through our sons. We stood there on the first day of kindergarten waving goodbye to our sons, who didn’t even look back, as they walked into class. Trying not to cry, we decided to go for coffee and commiserate. Our boys are both fifth graders now and we meet up often over many cups of coffee. Of course, when Sheila called to say that her car had broken down with two kids in the car, I offered to pick her up and bring her and the kids to my house for dinner. I could hear the relief in her voice. Excellent, but now what I am going to cook everyone for dinner? I don’t have much in the house. Looking through the fridge, I only have a package of Polish Kielbasa and not much else. Dang that is not enough to feed everyone. What do I have in the pantry? Dried beans, a big can of diced tomatoes, and Massel gluten-free bouillon. Now, how am I going to cook these beans in about 45 minutes while I go to pick Sheila up? My pressure cooker saved me again. I have an electric pressure cooker that is super safe. Gone are the terrifying days of exploding pans. I threw all the ingredients into my pan, closed the lid, switched it on and shot out the door. When I got back from picking everyone up, the Kielbasa and White bean soup was done and I ladled up bowls of comfort immediately. Everyone safe, everyone comforted, everyone fed and happy. The car took a little longer to get fixed, though. 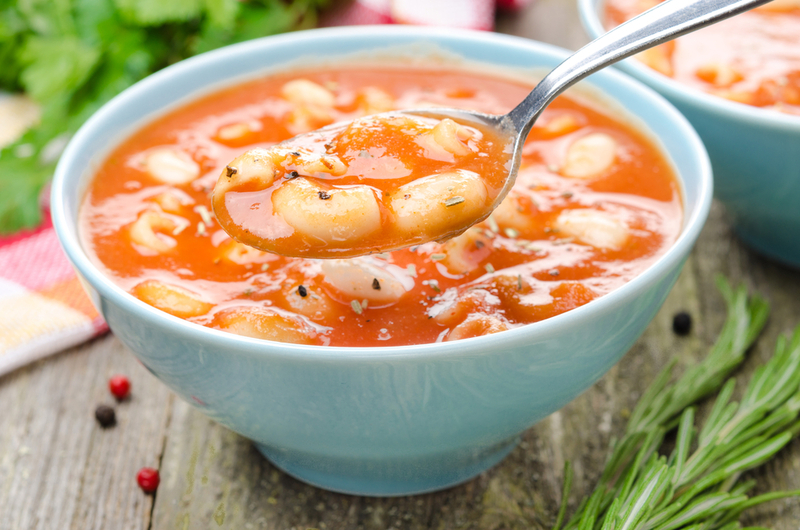 Get the recipe for gluten-free Kielbasa and White bean soup made with Massel gluten-free bouillon.